• Epidemiology Pillar and Genetic Pillar workpackages each other assess and refine. 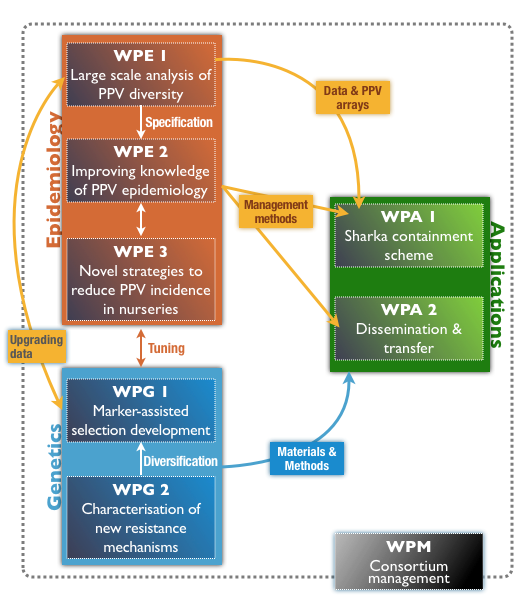 • WPG.1 provides WPA.1 and WPA.2 respectively with resistant materials and phenotyping methods. • WPE.1, WPE.2, and WPE.3 provide WPA.1 with risk management methods.